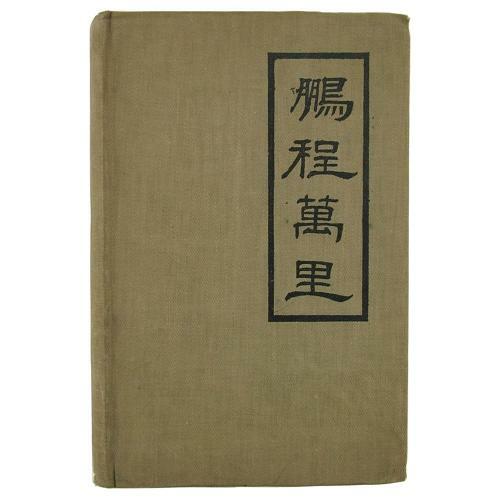 Japanese Air Terms by Squadron Leader A.R. Boyce R.A.F., Vol. 1 Japanese - English, 1944. H/b, 17 x 25cm, 437p. Printed by the Far Eastern Bureau, British Ministry of Information, Calcutta. The author began the book in 1941 before the Japanese entered the war. Each word and expression in this glossary has been taken from a Japanese text and in no case has any attempt been made to 'manufacture' Japanese words in order to express an English term. It contains a huge number of words and phrases, each given in Japanese text and characters. Here you will find anything from 'A.A. Fire' to 'bullet-proof windscreen', 'fast opening parachute' and 'parachute pack' to 'starting magneto' and 'gunner's seat'. Also has an appendix giving the ranks, appointments and units of the Japanese Army Air Force and Naval Air Forces. In good used condition. I doubt that many copies of this book were printed or survive today. A must for anyone with Japanese items in their collections. Stock code P23290.